People often ask me how I got into mushing. Like many mushers it all started with one Siberian. My husband Kevin has gotten into the habit of writing up Mushing Bulletins for our family and friends when mushing season starts and this year he wrote a bulletin which explains how all this got started. Here is how the Powers Pack came to be as only Kevin can describe it. The following is a guest post by Kevin Powers. In the beginning there was Kaya. We got Kaya as a pup. Here’s the first rule about pups. If you go anywhere near a geographical location containing Siberian Husky pups, you’ll end up with one. And, if you confidently announce “I’m just going to look at them, I’m not going to get one!”, you’ll probably end up with two. 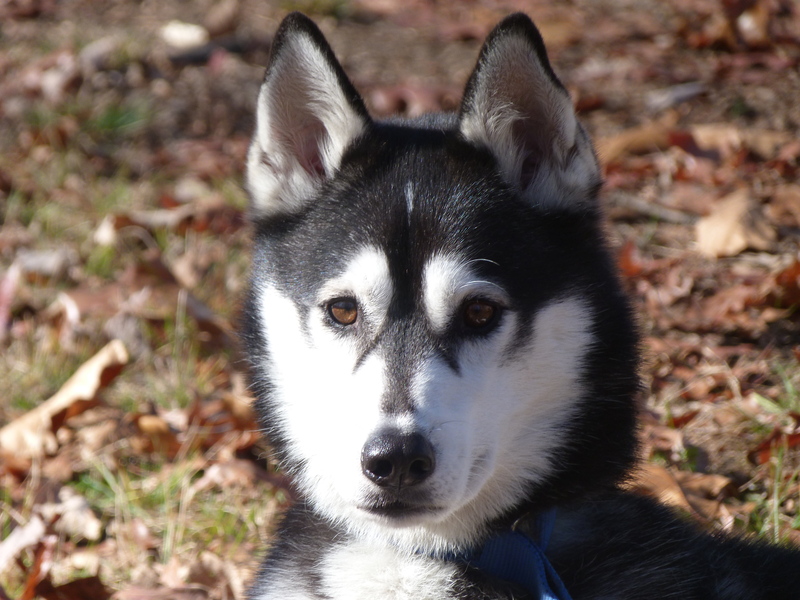 Long before we retired, the Head Musher (known then simply as Linda Powers) flew to Maine to visit her mother; saw an ad in a local newspaper which read “Siberian Huskies for sale”; decided to visit the farm “just to check them out”; bought a leash and a collar on the way in case one turned out to be cute, adorable, and irresistible; and (guess what?) one turned out to be cute, adorable, and irresistible. That’s how we got out first sled dog, and we named her Kaya. It was a clear violation of the pup rule and it’s lucky we didn’t end up with two. 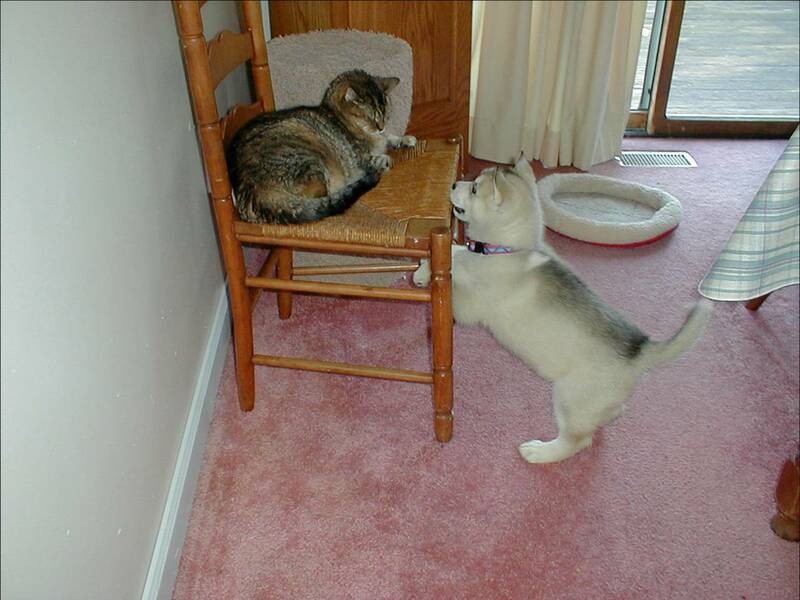 This is Kaya when she arrived at our house and found a cat named Tiger Lilly was already ensconced and in charge. After a couple of whacks on the end of the nose by a feline paw, they became the best of friends, but Tiger Lilly’s supremacy in the pecking order was never challenged. 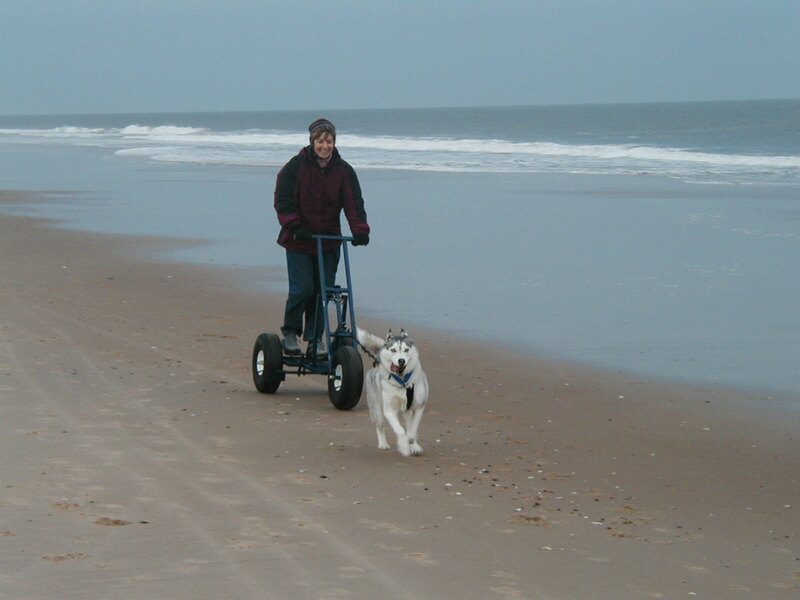 In 2005 we retired, moved to the Eastern Shore of Maryland and, proving that idleness truly is the devil’s workshop, Linda Powers bought a harness for Kaya and a three wheeled cart with airplane tires from a guy in Washington State and started running Kaya on the beach at Assateague National Seashore during the late Fall and Winter. Kaya was enthusiastic about this cart-pulling business some of the time. But at other times her enthusiasm wavered and she would stop and dig on the beach. 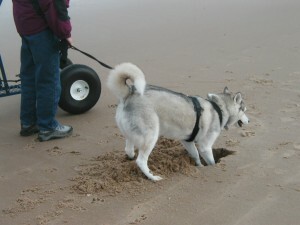 Huskies are not only great runners and pullers, they are great diggers. Fence in your back yard and they will dig under the fence and escape quicker than a congressman leaving Washington D.C. on a weekend. This convinced the Head Musher that another dog was needed. There is no problem that can’t be solved by an additional dog. In this regard mushers are like golfers who will add a new golf club to their bag whenever they hear the phrase “an additional five yards of distance”. 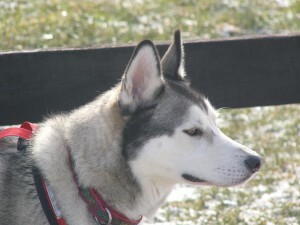 As a result, Chinook, a fully grown Siberian Husky, appeared on the scene. Chinook was bred from show lines but, for some strange reason, was considered to be an ugly duckling. The Head Musher turned him into a sled dog, and he turned himself into my shadow, my best canine buddy. He has piercing blue eyes that look right into your soul. He expects other members of the pack to behave. Enforcing this expectation requires perpetual vigilance. It’s hard to figure out how Chinook washed out in the looks department as a show dog. Chinook joined Kaya pulling the cart but coordination problems arose immediately. They seemed always to be pulling in opposite directions, like Republicans and Democrats. But neither of them threatened to shut down the team if he/she didn’t get his/her own way. Based upon these exploits, the Head Musher concluded that the team and musher needed formal training. 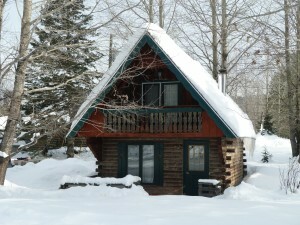 So, arrangements were made for two humans and two dogs to attend a “Mushing Boot Camp” in the Central Highlands of Maine. It was run by Jamie Nelson, an Iditarod veteran, and her dog-whispering fellow instructor, Ann Stead. Those of you out there who are planning on starting your own dog-sled team would be wise to sign up for “Mushing Boot Camp” not only to learn about running sled-dogs but to learn about yourself. We had the only two-dog team in the camp. There were people with as many as twelve dogs, and about 75-100 dogs in the camp. If you want to have your spine chilled, camp out in a tent in the wilds of Maine and listen to huskies howl in unison at day break. Over the next couple of years we got two more Siberian Huskies. Kodiak was the first to arrive. A full grown Siberian bred from racing lines. Our daughter calls Kodiak the “sweetest dog ever”, and he is. But he’s also a dork. I call him “Urkel” because he reminds me of the kid with the high-pitched voice, high-water pants, suspenders, and white socks. If he wants to move three feet to the right, he does it by leaping. He’s a canine copy of Snoopy dancing on his hind legs with his nose straight up in the air. He just loves being alive and he can’t help but let you know it. Then came Fenway, also from racing lines. Fenway was a pup when we got him. We got Fenway by violating the second rule about pups i.e., not running in the opposite direction when a fellow musher approaches you with pup in arms and begins the conversation with the words “I’m trying to give away…?” You know that the last words of that sentence are not going to be “New York Knicks tickets”. Fenway is affectionately referred to as “The Punk” for his ability to get into trouble virtually anywhere. He’s named after Fenway Park, home of the Boston Red Sox. I suggested that we name him “Pesky”, after the famous Red Sox player Johnny Pesky. It turns out that would have been a much more fitting name, but I was voted down in a close 1-1 vote. 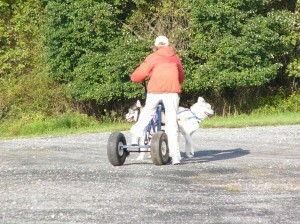 While this canine acquisition was going on, a simultaneous sled/cart acquisition took place. As of this writing we have two wheeled carts, two Sergeant Preston of the Yukon-type snow sleds, and a two-wheeled scooter. 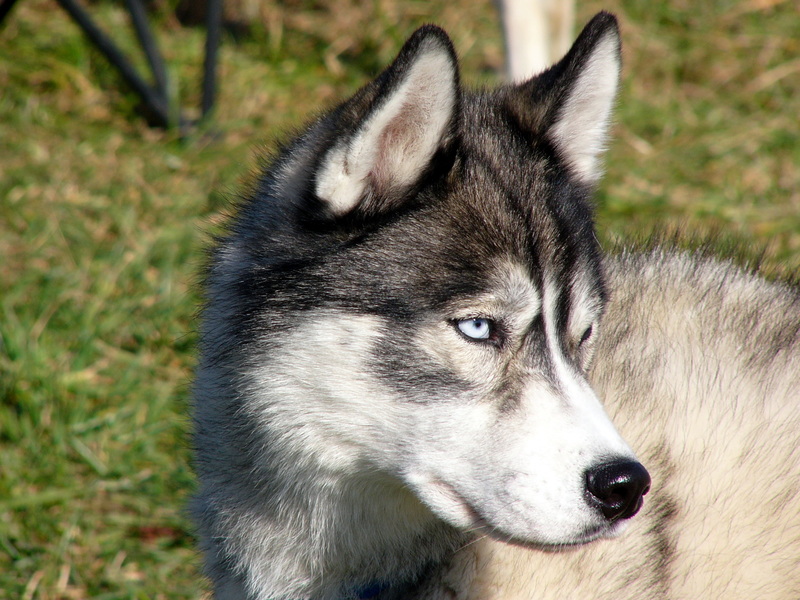 The Head Musher joined the Pennsylvania Sled Dog Club and began participating in dry-land races. A group of mushers often gathered at a state park near the University of Delaware to train and we often joined them. About this time the Head Musher, or one of her mushing friends, saw an add in a mushing magazine for Baisley Lodges which is located in St Jacques, New Brunswick, Canada. The owner of Baisley, Gino Roussel, is a musher and decided to keep a couple of his cabins open during the winter in the hopes of attracting fellow mushers to try out his trails in the Canadian wilderness. It worked. 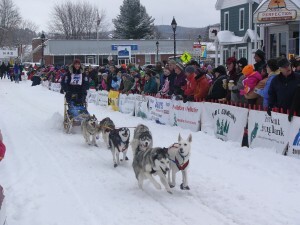 This coincided with an admission by the Head Musher that one item on her bucket list was to finish a 30-mile sled dog race called the Can Am International Sled Dog Race which is held in Fort Kent, Maine. Take a guess where Fort Kent is located. Yup, across the border from St Jacques, New Brunswick. I love it when pieces of life’s puzzle come together like this! 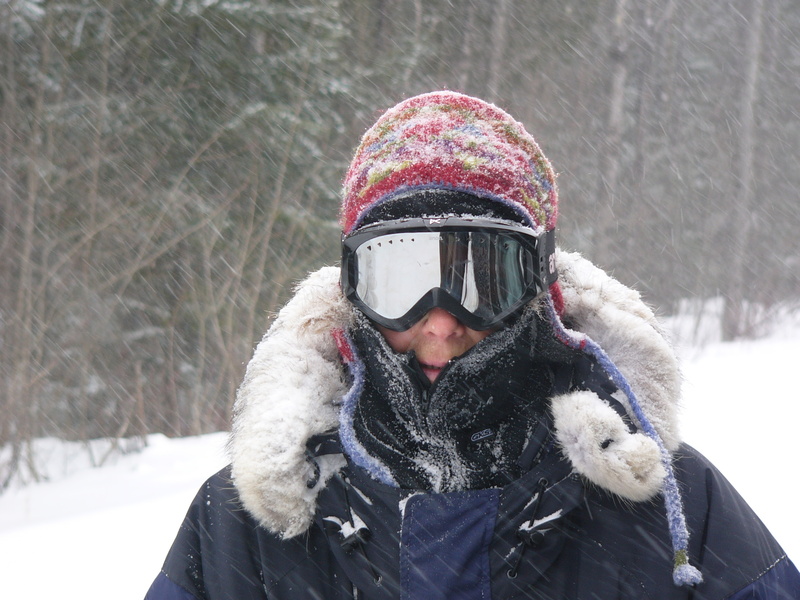 So, in 2008, we headed to St Jacques for the first time and I started writing mushing bulletins. We’ve been going up there for the past five years and sometimes staying for as long as a month. There have also been mushing trips to Pennsylvania, upstate New York, New Jersey. 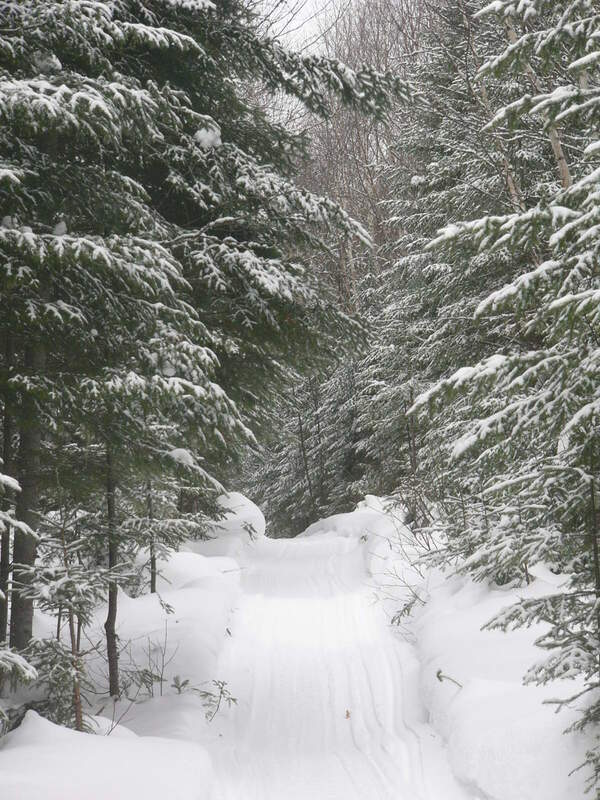 New Hampshire, Maine and Minnesota but the focal point of the mushing season has been the Canada trip and the goal of finishing the CanAm-30. 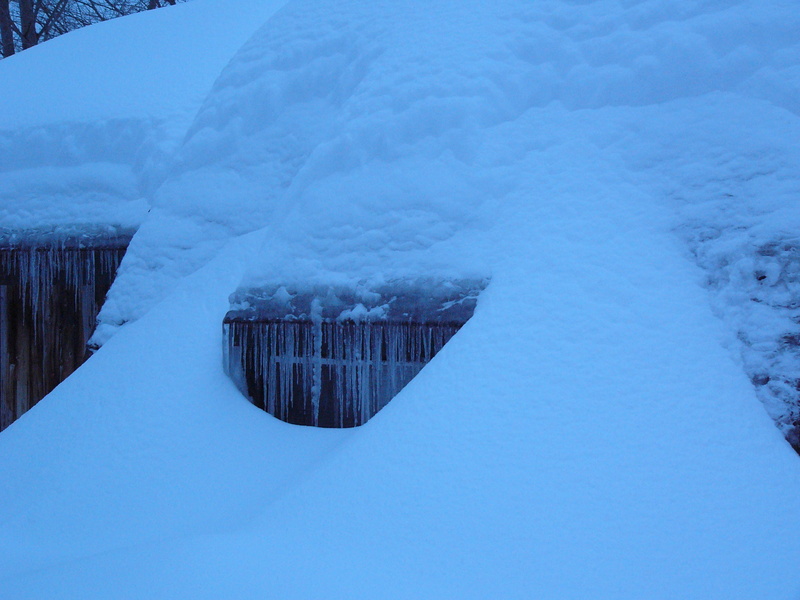 Sometimes it looks like this because it snows like hell in St Jacques. 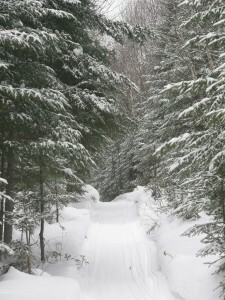 But because it snows like hell, the woods are a winter wonderland. Once you get out there and start looking at the scenery, you can get lost and end up with a moose as a best friend. This is what the Head Musher looks like after 20 or so miles of Gino’s trails. Now you might think that it’s uncomfortable to be out in a snowstorm when it’s twenty-five below zero. I wouldn’t know because I’m always at the trail-head reading a book in a warm car. But none of the mushers ever complains about being uncomfortable. I think the same gene as the one that causes golfers not to mind 95 degree heat is involved here. In 2011, the Head Musher entered and finished the CanAm 30. Here she is going down the starting chute. Compare this shot to the earlier one of Kaya and Chinook pulling in opposite directions. This is a picture of a serious musher and a serious team. She ran and completed the race again in 2013 but with a special mission. Kaya, the first Powers sled dog had passed away in the Summer of 2012 and the Head Musher carried her ashes with her in the 2013 race. She stopped on the trail and spread the ashes in the snow on a small lake we now call “Lake Kaya”. So now you know the beginning of the mushing story. I’m hopping on a plane today and meeting the Head Musher in New Hampshire. We are heading for the Northern New England Sled Dog Trade Fair and then to a Sled Dog Basics course in the Maine Highlands. The mushing story continues. And there are rumors that a new dog will be joining the team. I’m wondering if there’ll be room for me in the car for the trip back home. Stand by. Ha ha . . . I got my first Husky (or more aptly put – she got me), just under a year ago . . . and I am truly hooked . . . is this what I have in store? 🙂 . . . I have loved reading this blog!!! Thanks Colleen! Glad you’ve enjoyed it! Thanks, fun escape reading for me, from what I do here on the Eastern Shore.